My tiny studio apartment gets an insanely low amount of natural light. Though the sole window in the apartment is large and generous, it's also north-facing—stripping the space from precious sunrays. Despite my black thumb, I tried growing plants with very little success. And so, after a few laughably unsuccessful attempts, I came to the somber conclusion that my apartment would remain plant-less. That is until the most adorable little book on plants landed on my desk. 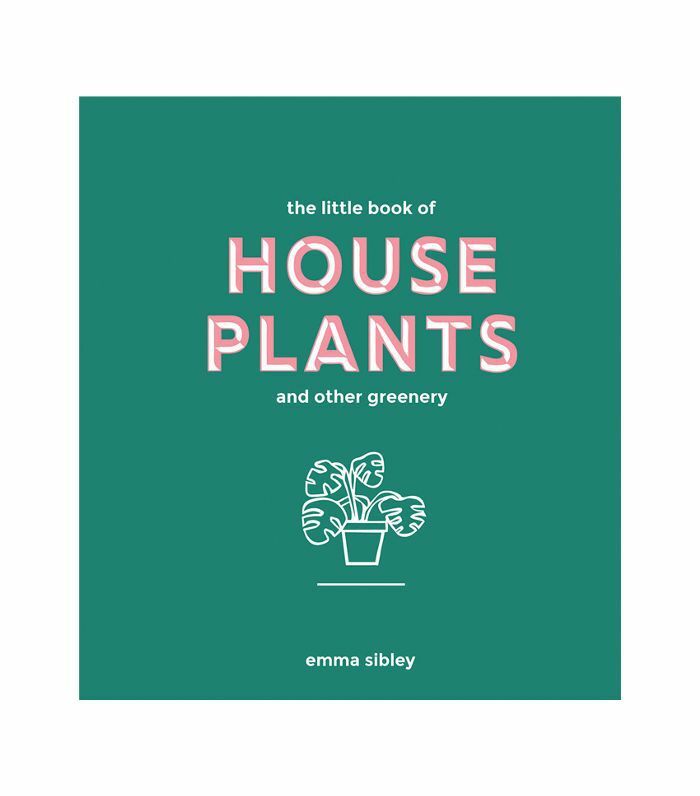 Unlike other gardening books, which can be overwhelming and filled with pages of information that's way too in-depth (for me), The Little Book of House Plants laid out the terms of each of its 60 plants in an easy-to-understand way for a black thumb like myself. Each variety came with an illustrated legend, providing handy care tips on the amount of light, water, and humidity required, along with other advice on repotting, pruning, propagation, growth, and care. I was sold. With this tiny houseplant guide (appropriately sized for my studio space), I could finally navigate the world of low-light plant ownership with confidence. Naturally, my eyes immediately gravitated to plants that required very little natural light, and to my delight, many of them were tropical in appearance, stemming from the rainforest. If you've ever seen an episode of Planet Earth, you know how hard these tiny stems fight their way to sunrays in these damp and dense forests (kind of like me searching for direct sunlight in New York). If you find yourself in the same boat (sunlight-wise), you'll love to hear that these 15 indoor plants actually thrive in darkness. Ahead, author and horticulturist Emma Sibley explains exactly how these low-light indoor plants flourish with little light. "A plant selected for its highly decorative and unusual leaf shape and pattern, the Rattlesnake Plant is native to the jungles of Brazil and will add a touch of the tropics to any home with its bright-green topside leaves that contrast beautifully with the rich purple undersides," says Sibley. "Just remember that this plant needs a rich and humid environment so try and copy this as closely as possible." The lighting condition: "Keep your Rattlesnake Plant in a shady spot with indirect sunlight, as too much sunshine can discolor the leaves, turning them brown and crispy." "The Asparagus Fern can be found trailing from pots and hanging baskets," says Sibley. "Grown for its feathery elegant foliage, this deceptive plant is not discolora fern, but part of the Liliaceae family. It is much easier to look after than other ferns and does not need a humid environment, but you should give the branches room to spread out so this plant can reach its full potential." The lighting condition: "The Asparagus Fern is fully adaptable to low light or bright conditions, but keep it away from direct sunlight as this can cause yellowing foliage and leaf drop." "This plant's easily recognizable round, flat leaves make it a focal point in your home, even though it only grows to about 12 inches high," says Sibley. "It will chase the sun, so you may notice the more mature plants will curl their woody stem around to reach as much light as possible." The lighting condition: "These beauties are partial to a shady spot and grow well on a windowsill in the winter. Do not place them in direct sunlight as this can damage their leaves." "Perhaps one of the most diverse of the Ficus family, the Weeping Fig gets its name from the narrow, arrow-like leaves that line the delicate woody stems," explains Sibley. "This is a great plant for beginners, but remember that with Ficus Benjamina, much like a larger tree, the leaves will drop in winter, which is normal." The lighting condition: "The Weeping Fig will enjoy basking in a few hours of morning sun, but move it before the sun gets too strong, and keep away from the afternoon sun." "Native to the Philippines, the Alocasia has become more widely available in recent years and is a welcome addition to any houseplant enthusiast looking for something a bit more unusual to add to their collection," says Sibley. "Although many different hybrids can now be found, the most popular is the Alocasia Sanderiana with its erect stems, dark green glossy leaves and striking pale veins." The lighting condition: "Direct summer sun should be avoided as the leaves can easily burn, so keep this plant in a shaded spot and only increase the hours of sunshine in the winter when the light is low." "With its remarkable painterly leaves, the Fittonia is well favored among the smaller trailing houseplants," shares Sibley. "They are, however, not the easiest to keep alive in normal home conditions, as they like constant humidity, so they will be at their best housed in a terrarium or bottle garden." The lighting condition: "Native to the jungles of Peru, the Fittonia is found under the canopy of other plants and is used to having dappled light, so keep your Fittonia out of direct sunshine and place in a shady spot. Too much sunlight can bleach the leaves and fade their bright pink veins." "This trailing Ficus is not the first plant to come to mind when one thinks of a Ficus," notes Sibley. "However, these low-creeping variations are great as trailers or climbers and love to make their way up a damp moss stick. Their stems also like to shoot out aerial roots, which help to cling to such objects or the inside of a terrarium if planted in a bottle garden." The lighting condition: "Your Ficus Pumila is used to creeping along the ground, so it will appreciate a well-shaded spot in your home. A common problem with this plant is brown, crispy leaves, which can easily happen if it is given too much exposure to the sun." "Found in the tropical rainforests of South America, the Phlebodium aureum does not look to be your typical fern," says Sibley. "With delicate paper-like blue leaves that are deeply cut and divided to give a wavy hair-like quality, this is a very attractive and unusual plant to add to your collection." The lighting condition: "Like most ferns, the Bear's Paw favors low lighting and will not appreciate being placed near any direct sun." "There are many variations of Dieffenbachia to choose from, some with all green leaves, others with variegated and more decorative leaves, but all can reach up to 5 ft or more if cared for well," shares Sibley. The lighting condition: "Give your Dieffenbachia indirect sun and partial shade throughout the summer months and introduce more light during winter. If the coloring on the leaves starts to fade then it may mean you have exposed your plant to too much direct sunshine, so move it to a shadier spot." "Unlike most Bromeliads or air plants, the Earth Star is a terrestrial plant growing roots into the soil as opposed to other Bromeliads that choose to latch on to the stems or bark of other plants and trees," explains Sibley. "It's given the name Earth Star due to its leaf formation, and most plants will only grow a few centimeters off the floor, fanning their tough leaves that come in an array of shades from bright reds to pink." The lighting condition: "Used to growing along the floors of its native South American jungles, the Earth Star enjoys a dappled shade and should be kept well away from sunlight. Cleverly, you can measure the sun tolerance of this plant by the colors of its leaves. Too much sun and the leaves will start to bleach and burn, but too little light and the red hues will start to turn green." "This trailing vine will drape happily over a hanging basket or cling to a moss stick and climb using its aerial roots for support," says Sibley. "With big, beautiful heart-shaped leaves, this foliage plant is also known as the Sweetheart Vine as well as Devil's Ivy as it is virtually impossible to kill. There is also a variegated form." The lighting condition: "Unlike most houseplants, the variegated Devil's Ivy holds a special trait as its pattern can withstand very low-light conditions, which would usually cause patterns to fade. This hardy plant will still look attractive without too much light. If your plant is all green then low light is also not an issue. The ideal conditions are bright but indirect sunlight." "Originating from Japan and known for its abundance of lush foliage, the Hosta has usually been seen as an outdoors plant, but more recently we are seeing it pop up a lot more in the home," says Sibley. "The appeal is largely in its decorative leaf patterns rather than of an elaborate flower. They are relatively easy to care for, and if you have enough space in your home, you can let them reach their full potential at up to 1.6m (5ft) in diameter. All Hostas have a dormant period in the winter so they are best grown as annuals: do not be too dismayed if they do die back after a flourishing summer." The lighting condition: "All Hostas grow well in shade, but this can vary between each variety. Some prefer full shade while others will thrive best in partial shade, so make sure to look this up when you buy your plant." "The ever-popular Peace Lily is a firm favorite due to its delicate, arum-like white flower which can appear in spring, and if you are lucky, again in the autumn," shares Sibley. "It sits up there with some of the best houseplants for air purification, so is a great choice if you are considering one for the living room or bedroom." The lighting condition: "Your Peace Lily will thrive in indirect sunlight, and will appreciate being kept out of any intense sunshine. It enjoys being kept warm, especially in winter, so keep away from any cool draughts. Low light will make it appear more of a green foliage plant." "Native to South America this Peperomia is grown mainly for its attractive leaves," says Sibley. Pretty slow growing, this bushy plant will eventually reach around 10–15cm (4–6in) in height. The Peperomia will produce curious 'rat-tail' stalks from the base, which do not necessarily flower but do add a funny feature to the plant! 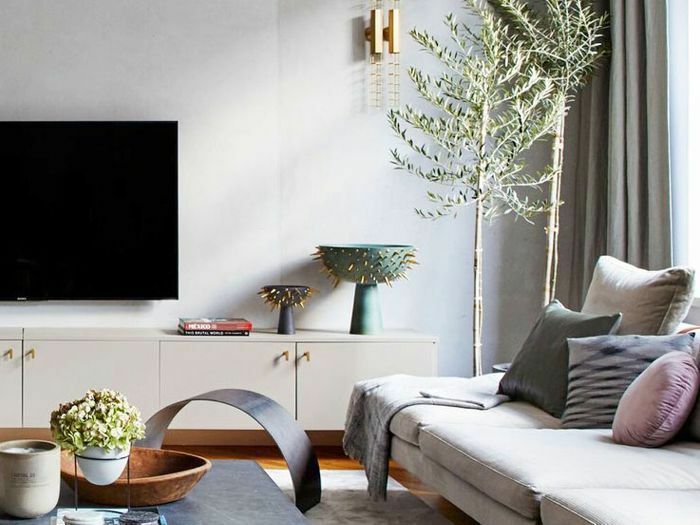 The lighting condition: "In its natural habitat, this plant would be found under trees in a bright but shady spot, so it is best to try to replicate this in your home. As it is small, you could easily place it under a taller plant to shield it from direct sun, which can scald the leaves and leave permanent damage." "Native to the southern islands of Japan, the Fatsia japonica is suited to hot and humid summers followed by cooler and drier winter months," notes Sibley. "However, it is susceptible to very cold and dry conditions, so should be kept away from draughts or wind. It has large, deeply cut leaves that feel as fragile as thin paper, so you can see where this plant gets its name from." The lighting condition: "Your Fatsia will grow best in partial to full shade. Small amounts of sun will be beneficial in the morning and afternoon, but too much will bleach out the dark green leaves, turning them yellow and dull." Subscribe to our newsletter for more plant recommendations and gardening advice.